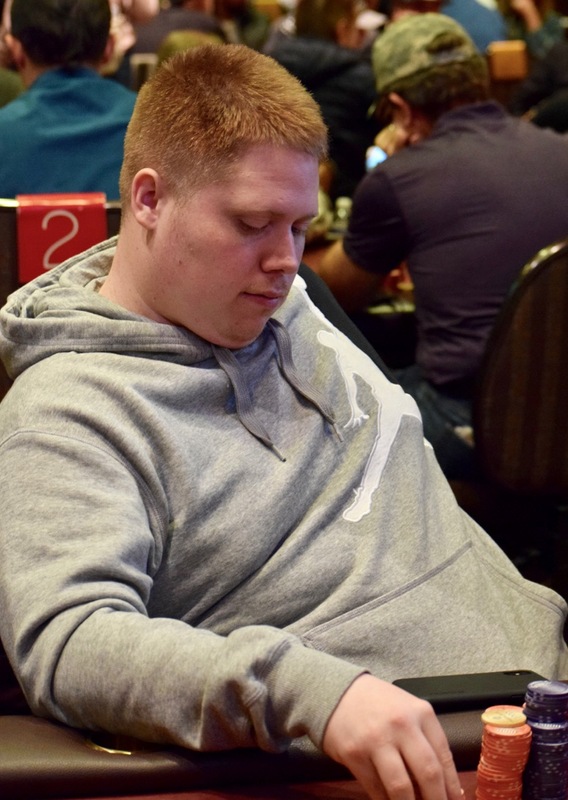 James Weeks falls in 15th place in the Monster Stack, running on the wrong end of chipleader Chris O'Hara. O'Hara moves to 1,300,000 - he has a big stack of the purple 25k's now in front of him - with 14 remaining. Jed Hoffman - at 1,100,000 - moves in to second place.